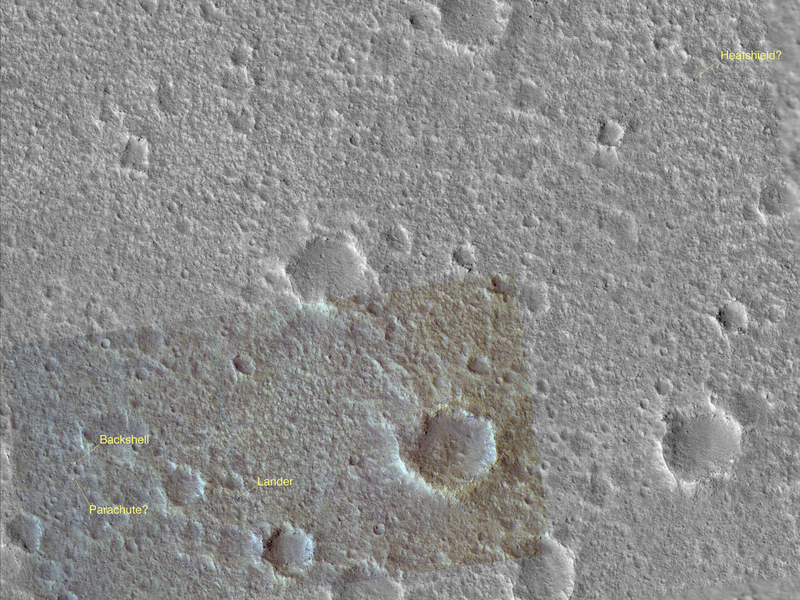 Viking Lander 1 (VL1) touched down in western Chryse Planitia on 20 July 1976. 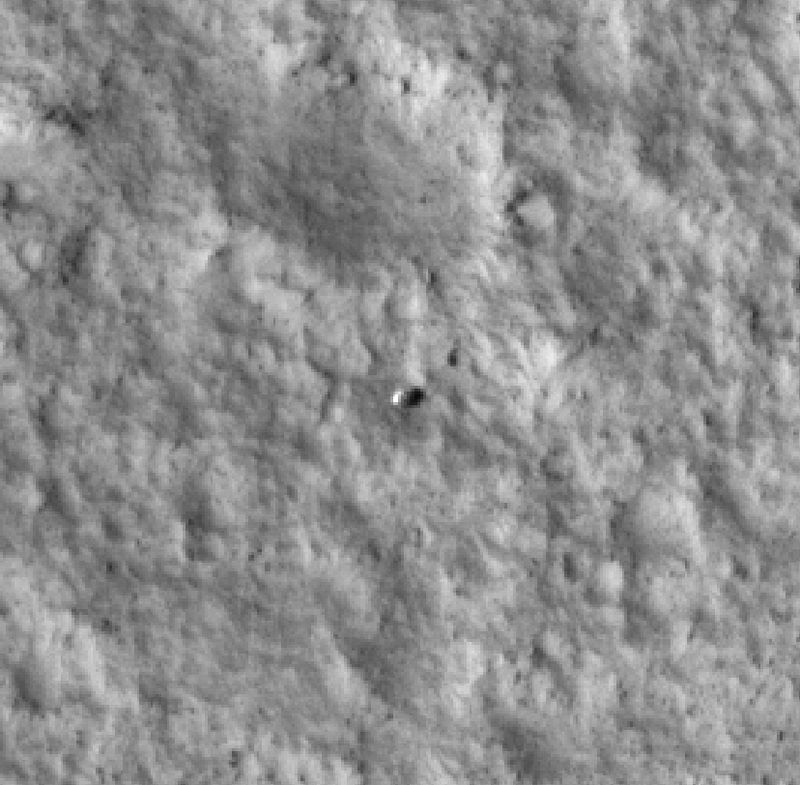 The lander, which has a diameter of about 3 meters, has been precisely located in the HiRISE orbital image, and likely locations have been found for the heat shield, backshell, and parachute attached to the backshell. 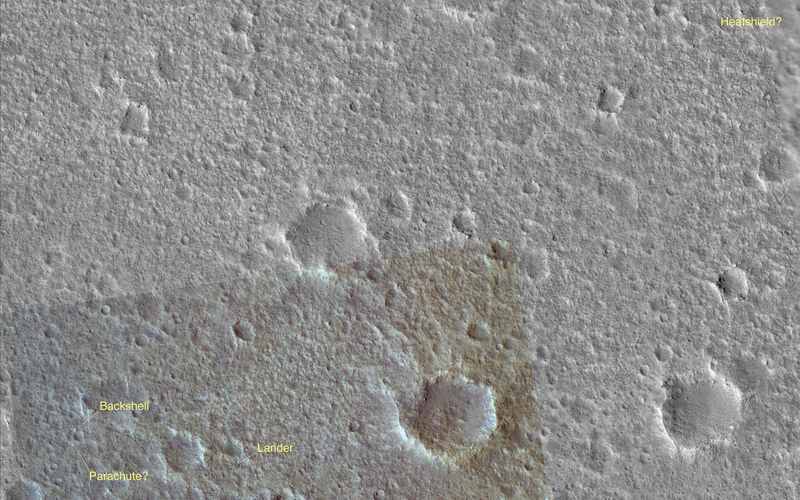 The lander location has been confirmed by overlaying the lander-derived topographic contours on the HiRISE image, which provides an excellent match. VL1 was one element of an ambitious mission to study Mars, with a 4-spacecraft flotilla consisting of two orbiters and two landers. Four cutouts from this image are visible. The first is an overview showing the relative locations of the lander and candidate backshell and heat shield, and the others (backshell and parachute, lander, heatshield) are enlargements of each of these components. 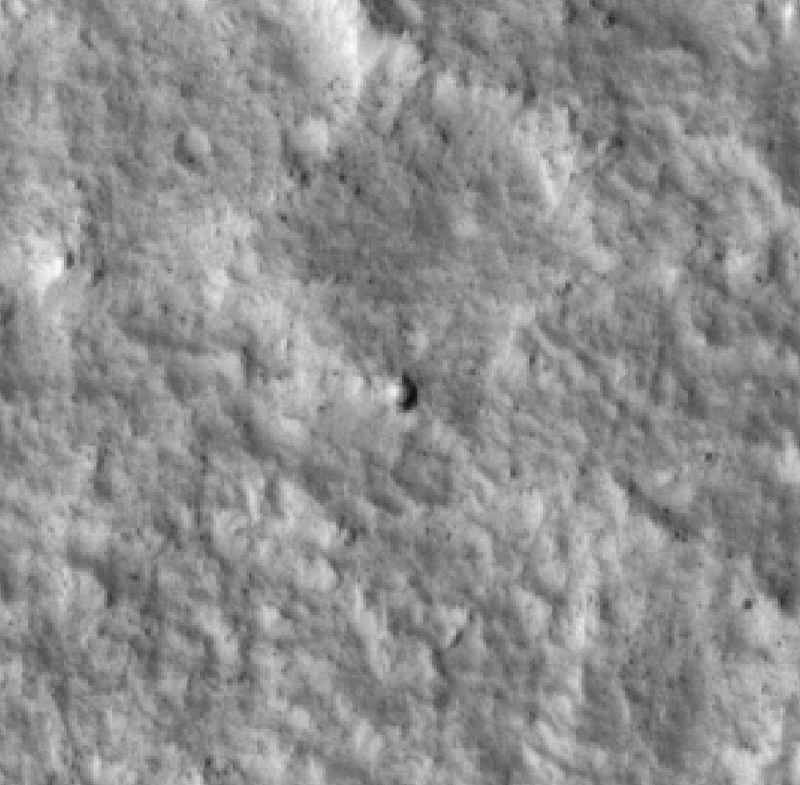 Large boulders, dunes, and other features visible in Lander images can be located in the HiRISE image. A prime motivation for early viewing of these Viking sites is to calibrate what we see from space with the data previously acquired by the landers. 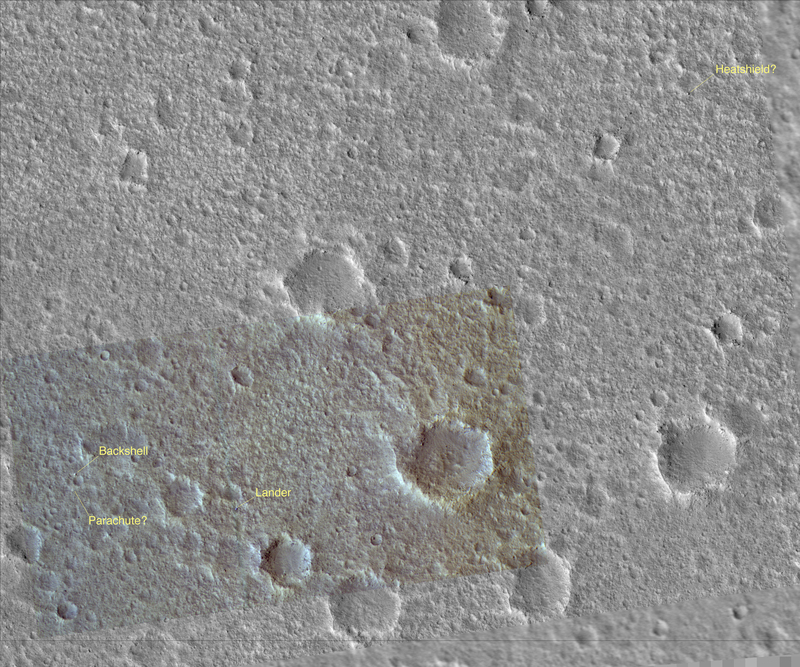 In particular, determining what sizes of rocks can be seen from MRO aids the interpretation of data now being taken to characterize sites for future landers, such as the Mars Scout Phoenix mission to be launched in 2007. This is a stereo pair with PSP_001719_2025.